Born at Spilsby, Lincolnshire, England, on 16 April 1786, the youngest son of Willingham Franklin. He married Eleanor Anne Porde who died in 1825. They had one daughter. In 1828 he married Jane Griffin. In 1819 he was appointed to command an expedition to explore the Arctic coast of North America. On his second expedition, 1825-27, he travelled through the northern portion of Lake Winnipeg en route, and described the north shore and the limestone of the west shore, north of the Saskatchewan River. On the return journey he travelled from Cumberland to Norway House via the north end of the lake and then down the lake to Fort Alexander, and again gave a description of the limestone, enumerating the fossil forms found in the exposures. In 1829 he was created a Knight Bachelor, and the degree of D.C.L. was given to him by the University of Oxford. He was Lieutenant-Governor of Van Diemen’s Land (Tasmania) from 1836 to 1843. In 1845 Franklin was appointed to command a third expedition to the Arctic. The expedition, of 129 officers and men, was attempting to penetrate from the Atlantic to the Pacific by water. Franklin’s two ships, the Erebus and Terror became frozen in the ice. In 1848, when no word had been received, the first of nearly 30 expeditions went out to search the Arctic, motivated by the mystery of his disappearance and rewards set afoot by his wife. John Rae brought back Eskimo stories of his death in 1852. 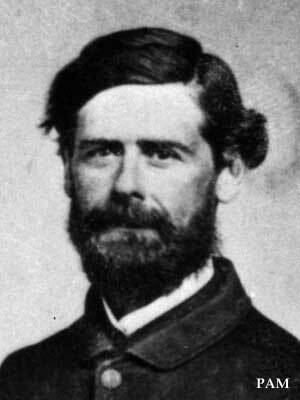 In 1859 the expedition of Francis Leopold McClintock found remains and two brief written records that noted Franklin’s death. Franklin had died on 11 June 1847. By that time 24 officers and men had perished. In the spring of 1848 the remaining men abandoned ship to make their way south on foot. There were no survivors. He was author of Narrative of a journey to the shores of the Polar Sea in the years 1819, 1820, 1821, 1822 (London, John Murray, 1823) and Narrative of the second expedition to the shores of the Polar Sea, 1825, 1826, and1827 (London, John Murray, 1828). Franklin was a brave and charming man but not particularly skilful as an explorer. He was more important for the work done during attempts to find him than for his own expeditions. He is commemorated by the Rural Municipality of Franklin and Sir John Franklin Park in Winnipeg. Franklin -- Happy Voyager by G. F. Lamb (1956). The Fate of Franklin by Roderick Owen (1978). John Franklin, Dictionary of Canadian Biography VII, 323-26.